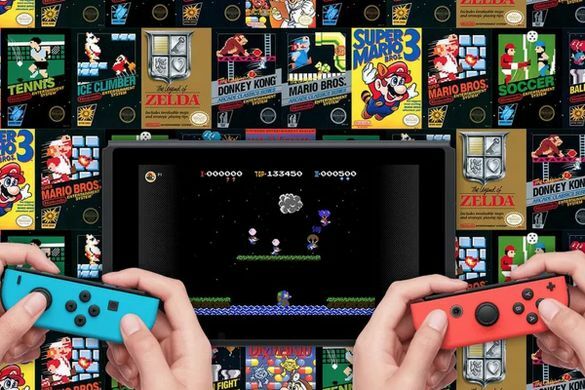 In a sea of modern releases increasingly more tailored at online functionality, Nintendo have always remained the black sheep of the industry. When it was announced the Nintendo Switch would eventually have an online subscription service, then, consumers were taken aback but nonetheless acceptant – a Nintendo paid-online service had seemed like an inevitability for a while. A number of months on from the beginning of the programme, Nintendo Switch Online does not seem to have progressed much, leaving many disillusioned with the value of the service. Beginning on September 18th, the service looked to implement features long requested by Switch users. One such feature was cloud saves, allowing back-up data to be saved to the cloud as opposed to only locally on the device. This means if you were to move to a new system, you could sign in and continue where you left of on the old one by downloading your data. Further if losing the subscription there is a grace period of 6 months to renew before losing said data – similar to PlayStation Plus. Yet there are certain games incompatible with the cloud storage, some examples being FIFA 19, Dark Souls Remastered and Pokemon Let’s Go! Pikachu and Eevee. In a statement to VG247, Nintendo stated this was as it ‘would make it possible to regain items that had been traded to other players’ and that it was done in the interest of fair play. However this is contradictory when one considers Dark Souls Remastered supports cloud saves on other platforms. Couple this with the fact it effects some of Nintendo’s biggest games and one can see why it would be an issue. The price point was noted as a strong pull factor from the get-go. With a year membership costing £17.99 compared to PlayStation Plus’ £48.85, it’s clear to see why the Switch might be preferable, especially for a more family-oriented console experience. The Switch’s main issue here, however, is the value for money aspect. Nintendo have been transparent by saying these price points exist as the Switch does not offer the features the other subscriptions provide, yet with PlayStation and XBOX offering up to three full-scale games a month as part of the service this is an understatement. Nintendo’s alternative is their NES Online library (which I’ll explore in a moment), but its other offerings – for example the smartphone app and ‘special member deals’ – are nothing necessarily to shout about. These are not benefits. Voice chat in particular should be a simply convenience from the get-go and should not rely on an cumbersome, external app to use, especially when much better external apps exist in the first place. 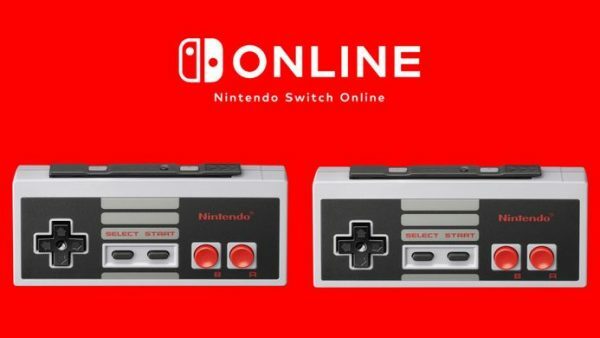 In terms of the member deals, the only one available at the moment are the NES controllers, which are purely aesthetic and cannot be used as a pair for Nintendo Switch games, instead only usable for the NES library. Incentives, then, are lacking. One might argue the lower price point compensates for this, but I disagree. Online play was free for the first 18 months of the console’s life. Needing a membership this fair into its tenure is silly and confusing to many consumers who don’t keep up with Nintendo news. Those who play casually generally wouldn’t want to pay more for something that has been free to them for so long – they’d just forget about it. We pivot then to the NES Online library, perhaps the biggest incentive for the online service. The library offers classic Nintendo Entertainment System games for all subscribers, initially launched with twenty games but slowly growing as the months pass. This library is persistent and includes games such as Super Mario Bros. 3, The Legend of Zelda and Metroid. These games, bear in mind, cost about £4/£5 from Nintendo’s previous Virtual Console model. On the surface, twenty games seems like a great deal and it definitely is compared to the (unfairly expensive) prices for the games on Virtual Console. But the beauty of the Virtual Console was its mass selection, not only from NES games but SNES, N64, GBA, DS and Wii games. Such a vast library has not been replicated on the Switch Online service, instead only favouring one console. It is full of the same games people have seen for the last ten years, even prior to the beginning of Virtual Console. These games are not the selling points they used to be and are a small gimmick that will hold the average subscriber’s attention for maybe a week or so. Obviously this is all subjective – some enjoy things more than others – but I bet the majority of the Switch’s player base have played through the original Super Mario Bros. at least, and the majority of the games offered likely won’t appeal to them. Put simply, NES games have aged perhaps the worst of Nintendo’s back catalog, and when competitors are giving away AAA games on their respective services on a monthly basis, Nintendo’s NES Online library looks embarrassing. This is coupled with the fact they are releasing an average of three games a month, with one big ‘headline’ game and two or three smaller ones the average subscriber probably wouldn’t touch. Once – if – SNES and N64 games hit the platform, this will be slightly more forgivable, as the games will be more substantial and have greater longevity. But adding this sorry amount from a library of about 714 games – every month mind – is a poor effort. Nintendo can’t think to emulate the PlayStation and XBOX models when they’re putting Mario Bros. against Battlefield 1. The kicker, perhaps, is that the majority of Nintendo titles don’t have the mass online appeal to allow the service to thrive. Mario Kart 8 Deluxe, while incredibly fun playing with people all around the world, can be just as fun playing with a friend on the sofa next to you. Super Smash Bros. Ultimate is a similar story, whereby the game is fun to take online, yet the game's own technical issues when connected to the internet (coupled with the immensely fun local multiplayer experience it is) prevent it from being a subscription-seller alone. For now the service strikes me as an add-on and not at all a necessity. Weak incentives, a confused launch and a lack of necessity have prevented Nintendo Switch Online from competing with its PlayStation and XBOX equivalents. However Nintendo are at an advantage with their price points and the NES Online library shows great promise – if efforts were made to include more games at a (substantially) faster rate, the catalog could be a celebration of Nintendo’s retro roots and its rich array of characters. As it stands now however, NES Online is a pitiful selection of titles with a handful of gems scattered about. The service as a whole can definitely be changed for the better, but it needs to happen soon before it’s dismissed and consumers are alienated.